Blackmagic Design switcher and camera system handling live streaming for church worship and services. 5 Words Media was contracted in 2016 by Shiloh Community Church to design and build their new video broadcast systems for their sanctuary in Phoenix, AZ. 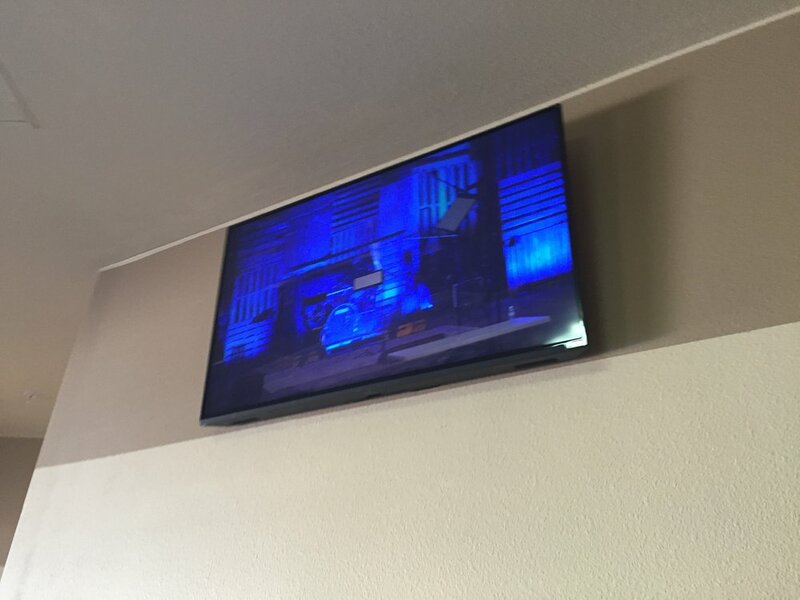 The existing video system was in disrepair and disorganized and needed a complete overhaul. 5WM met with the church worship media team and designed a system that would provide immediate benefits along with infrastructure for long term growth of the ministry. 5WM designed a brand new video system consisting of a Blackmagic Design ATEM 1M/E switcher controlling (2) BMD Micro Studio 4K fixed cameras and (1) Studio 4K manned camera position. In addition to these cameras, 5 Words Media installed (2) Marshall CVM-10 Micro Broadcast Cameras as portable stage cams for capturing unique looks and perspective from stage during worship. All cameras are synced to the broadcast switcher via a BMD Sync Generator and distributed via SDI to all projectors, lobby and overflow tv locations with HD video and audio throughout the facility. 5WM also installed a Telex MS-2002 Production Communication System with (2) portable beltpacks to allow communication of the video switching and camera locations as required. The video switch system combines all camera inputs along with Propresenter 6 output via DSK to create a stunning worship and teaching experience online via a Teradek VidiU Pro streaming encoder. Included in this installation, was a new Jands Vista S3 lighting console with 1024 channel dongle to control existing lighting throughout the space with plans to upgrade the lighting system in the near future to accommodate an LED lighting installation and new moving lights fixtures.